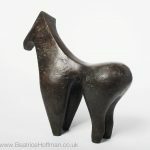 Beatrice Hoffman grew up in Germany and studied sculpture at the Norwich School of Art. 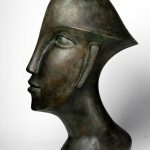 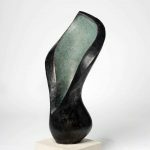 She works mainly in clay, creating sculptures for the home, garden and public spaces; she exhibits in the Uk and internationally. 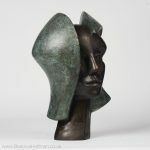 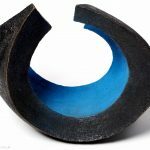 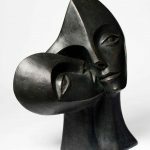 With her sculptures Beatrice Hoffman wants to achieve a certain degree of simplicity and abstraction: She is fascinated by ”strong form”: With both figurative and abstract sculptures, she searches for a sense of fullness contrasted with negative shapes; sharp angles between surfaces, juxtaposed with smoothness. 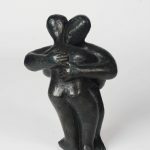 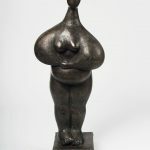 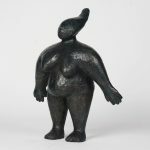 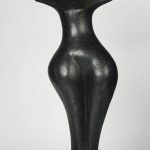 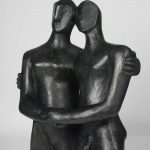 Some of her ideas derive from her other career as an arts educator and therapist, which makes her very aware of the psychological and expressive potential of sculptures: Themes on the interface of mythology, psychology and spirituality – mental states, relationships, human identity, maternal love, and solitude are universal experiences that influence her artwork. 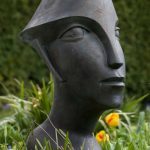 In 2017, she has won a large sculpture commission for a Hospital, a life size double figure welcoming people beside its main entrance.